We LOVE Christmas and our Elf on the Self, but we thought it was time for some NEW Elf on the Shelf ideas! The old ones floating around Pinterest are great, but surely he’s gotten tired of them. Oh! And if you don’t have an Elf on the Shelf yet, you can find the complete Elf on the Shelf set HERE! Without further ado, here are 35 BRAND NEW Elf on the Shelf ideas for 2017, enjoy! Looking for a Departure Letter, too? It’s hard to believe that your Elf on the Shelf will be making his last trip back to the North Pole soon!! If you need a departure letter, you can find over 20 Goodbye Letters HERE! 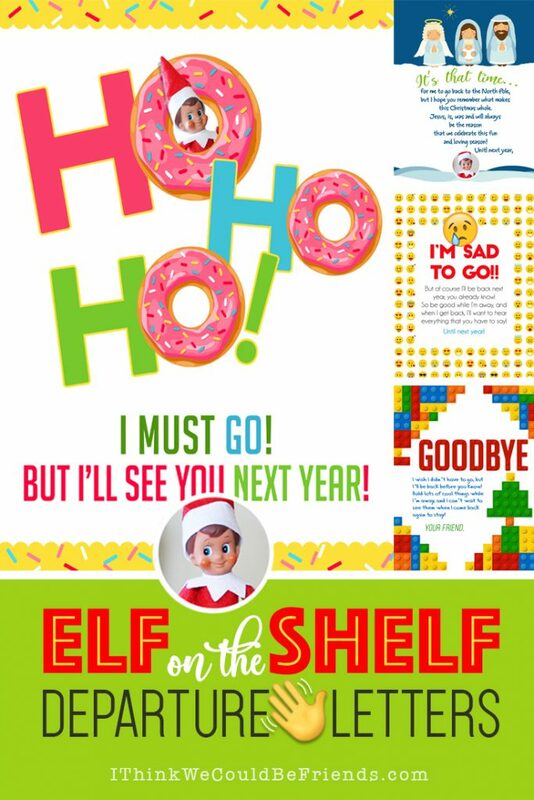 We hope that they help you send your Elf off in style!!! 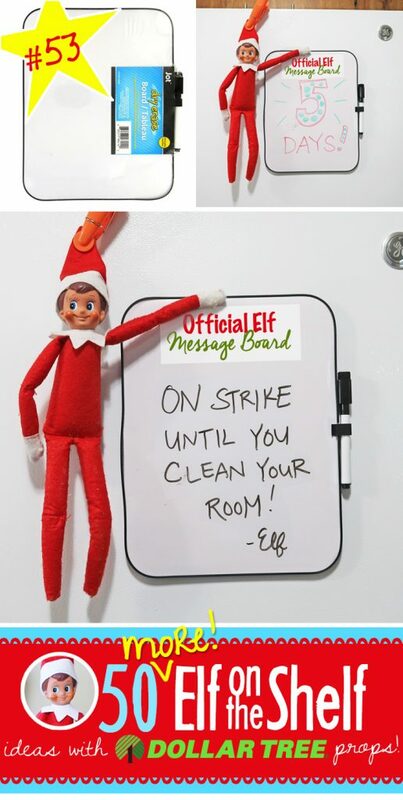 The Idea: Create an official message board for your Elf to share important messages! I printed the top that says “Official Elf Message Board” and taped it on. Now it is on the front of our fridge for Elf to use whenever he needs to let the kids know something!! 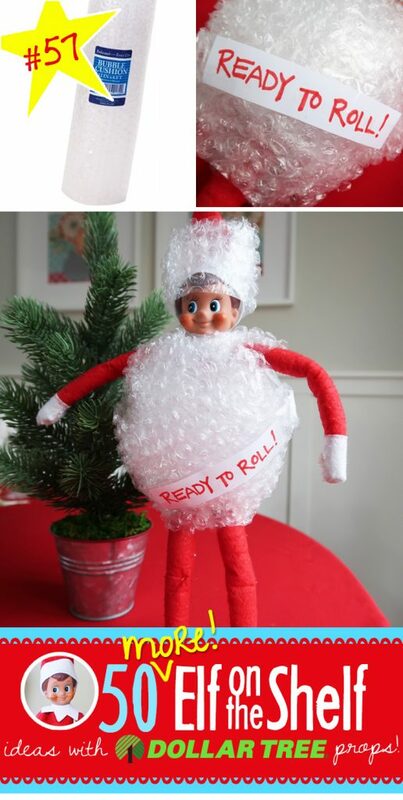 Elf on the Shelf Idea #57: Bubble Wrap Ready to Roll! The Idea: Elf is all wrapped up in bubble wrap and ready to roll!!! We cut the bubble wrap into 2″ wide strips and wrapped him up using scotch tape to secure it. We then wrote a note that says “ready to roll!” and taped it on! 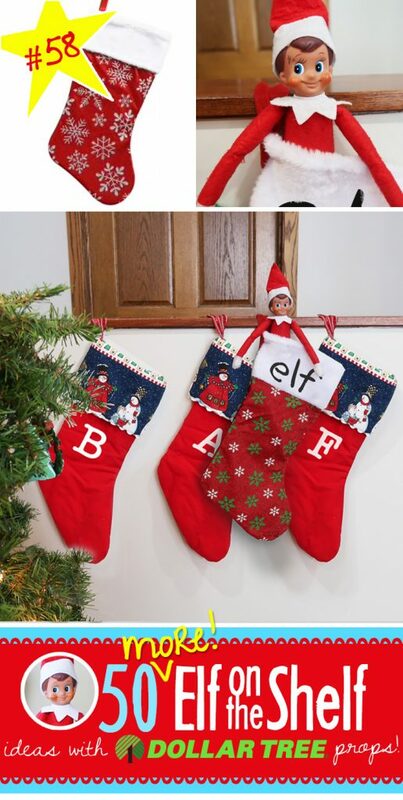 Elf on the Shelf Idea #58: Elf adds his own Stocking! The Idea: Oh my! Our Elf on the Shelf added HIS OWN stocking this year! How thoughtless of us, we should have had one for him all along! He even wrote his name on it with a magic marker!! The Idea: Its fun when Elf on the Shelf comes in with a BANG (literally!). The kids will have fun trying to figure out how he managed to get INSIDE the balloon! The Idea: Use the Dollar Tree Crayola colored finger paint soap to write a message! This is quick and easy and of course the kids loved playing with the left over finger paint in the tub! The Idea: This one is quick to set up! Build a couple of walls and place your characters behind them. This one is fun for the adults, too, getting to spray the silly string! Tip: Leave a little silly string left in the cans so that the kids can spray it, too. Elf on the Shelf Idea #3: Shark Attack! The Idea: This looks a little more complicated than it was. I laid out the two strings and then taped the popsicle sticks in place to create the bridge. If you have boys at home you probably have a shark, snake or something else “scary” to put in the water. Our shark is a bath tub toy from Amazon, you can see it here–the kids have a lot of fun with it. The Idea: This was our boys’ FAVORITE!! Elf was preparing to ride his dirt bike off a BIG jump!! The Idea: We took a bunch of our children’s toys (especially their most prized ones!) and set up like Elf was having a garage sale. It was complete with sale stickers and a sign that says that he needs to make room for new toys- you can imagine their horror! Free Printable: Click here for the printable garage sale sign! The Idea: Don’t worry if you haven’t found a Christmas tree yet, Elf has you covered! He set up his own Christmas Tree Sale and they are especially tasty! Free Printable: Click here for the printable Trees for Sale sign! Elf on the Shelf Idea #5: I Mustache Have You Been Good? The Idea: These mustaches from the Dollar Tree are really fun. They have sticky backs so this is really quick to set up. Round up some dolls or stuffed animals and stick them on! Free Printable: Click here for the printable mustache sign! The Idea: Our kids thought this was the greatest! We assigned each of our four kids a color by writing their first initial on a post it. We placed those with Elf and the sign and distributed the rest around the kitchen. We put the younger kids’ lower and made the older kids’ higher and harder. It was fun watching them try and figure out how to get them down! 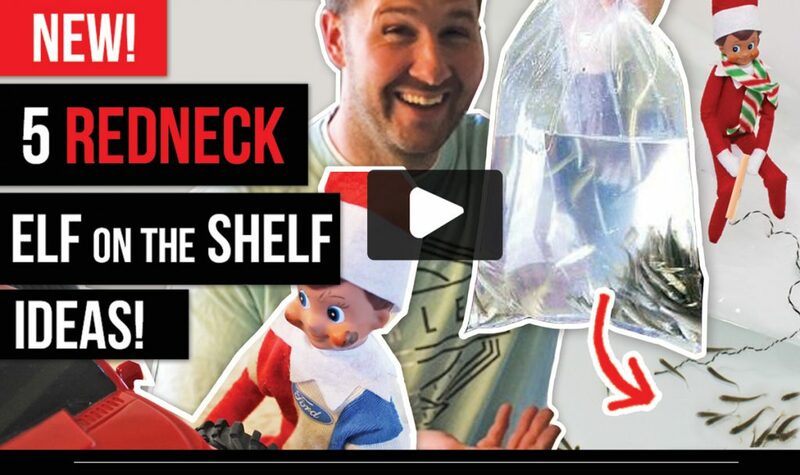 The Idea: I guarantee your kids with think this new Elf on the Shelf idea is HILARIOUS! Too think a reindeer pooped on the counter last night! They’ll also have a ton of fun playing with the emoji poo splat ball afterwards, too. You may want to get enough for each child in your family! The Idea: Well it should be no surprise that elves need coffee to get their day going, too! This was one of our kids’ favorites! Probably because they’ve never seen the coffee pot WITHOUT real coffee in it in the morning, so they were SURE that elf was in trouble! Free Printable: Click here for the printable elf coffee package! 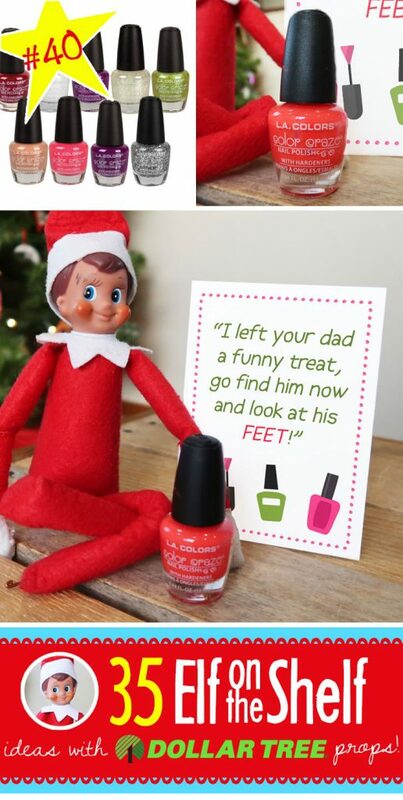 The Idea: Can you believe that Elf was able to paint dad’s toe nails without him noticing!?! He is pretty sneaky!!! The Idea: Making the shaving cream snowmen was really fun. I can’t remember the last time I touched shaving cream, but it was softer and thicker than I remembered. We made a snowman for each member of our family. Then we added faces made out of fuse beads and the picture was done! The Idea: Whoa! Cool Apples Elf!! 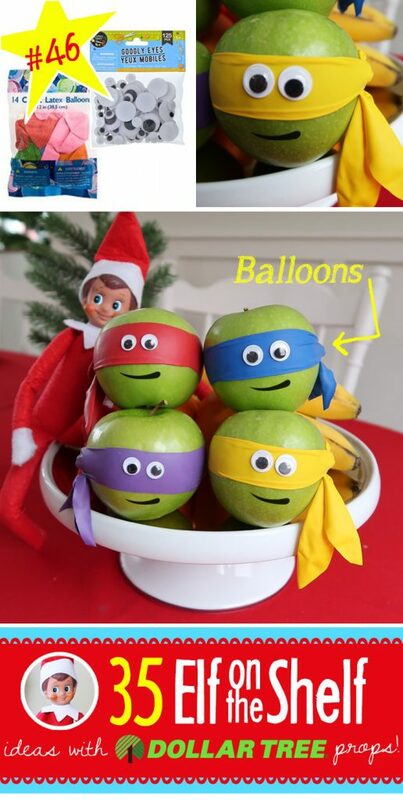 To make the Ninja Turtle eye bands, simply cut the top and bottom off of a balloon to create the band. Then use the top portion the you cut off, cut it down the middle and tie a knot and tuck it into the side of the eye band. 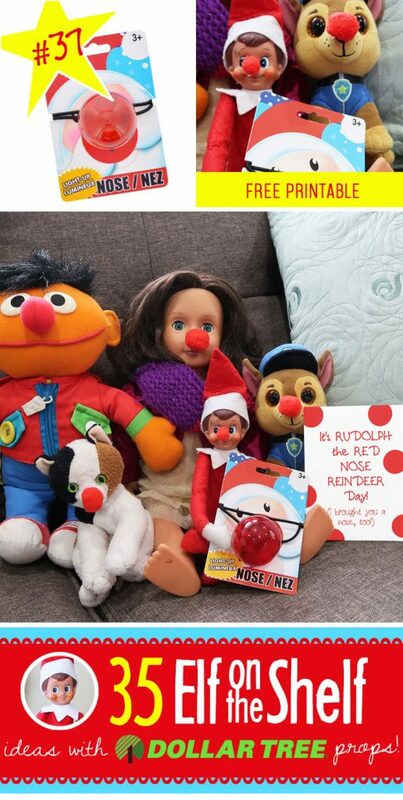 Elf on the Shelf Idea #9: Want to Grow Some Friends? The Idea: This was another of the kids’ favorites. Basically, anytime Elf was inviting them to do something they couldn’t get enough of it! These little grow capsules are fun. We used shot glasses from the Dollar Store to grow them in but you could use any dish. If you haven’t used them before, they take a few minutes to “grow,” so wait to put them in the water until near show time. 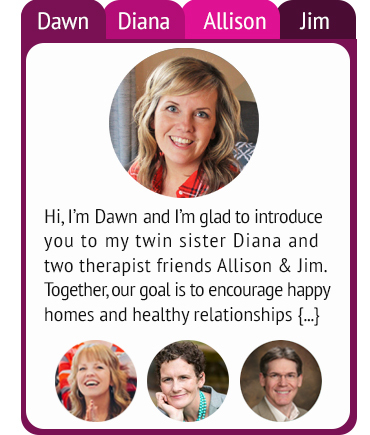 Free Printable: Click here for the printable grow friends sign! 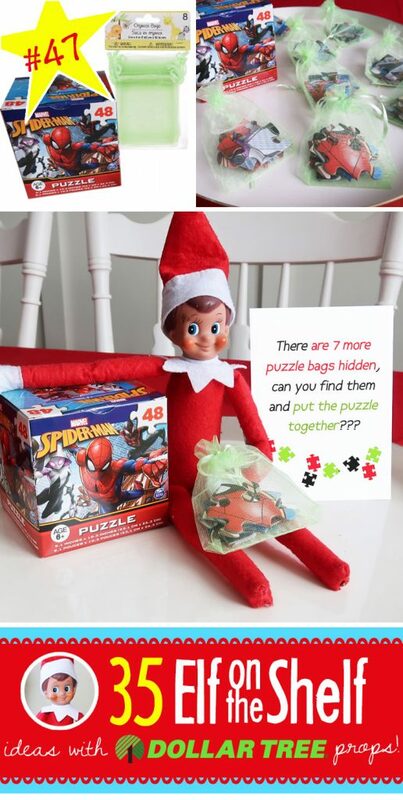 The Idea: Have your Elf on the Shelf divide up the pieces of a puzzle into these little favor bags and hide them! Your kids will love finding them and putting the puzzle together!! Free Printable: Click here for the printable puzzle hunt sign! 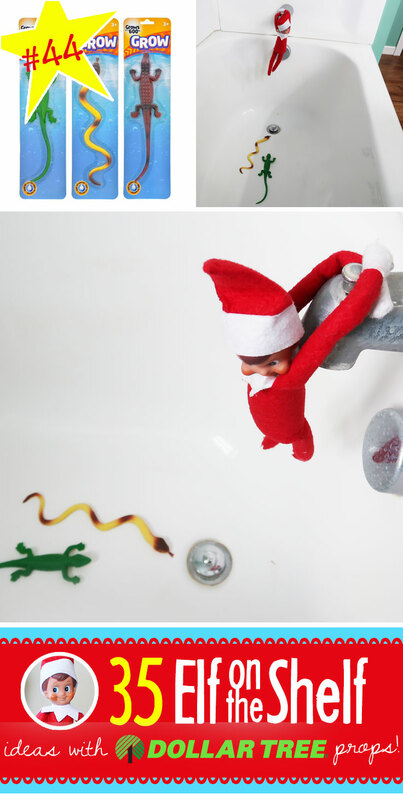 Elf on the Shelf Idea #10: Ouch!! The Idea: Oh no! Elf took a tumble down the steps! Good thing he has lots of fun band aids for his bumps and bruises. Another easy one when time (and energy!) is limited. The Idea: This is a great idea! Fill up the basket with old toys to make room for the new ones!! Dollar Store prop: Laundry Basket, get one or one for each child! 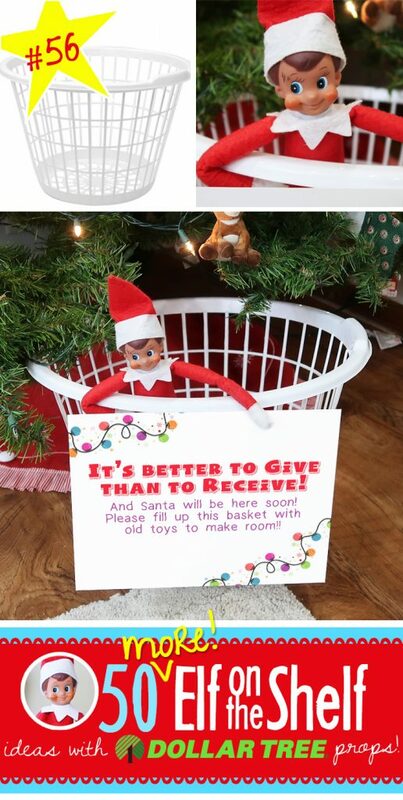 Free Printable: Find the Free printable that goes along with the basket HERE! The Idea: Elf is showing his sensitive side here! The kids went CRAZY over this one…what is it about tiny things that appeal to them? Even the boys liked pushing the lego men in the little strollers! For the baby blankets I just cut up some little scraps of fabric…nothing special! The Idea: Whoa! Big cookies are going in and LITTLE cookies are coming out!!! I don’t know what the fascination is with tiny things, but the kids were AMAZED at this one and had fun hypothesizing how the machine “works”. Free Printable: You can find the Shrinking Machine sign HERE & more pictures of creating it! The Idea: Pipe cleaners have to be one of the best inventions ever! We shaped them into glasses so that everyone could see well. And we were so glad to see that our elf on the shelf has a value for reading! ;) The kids had fun afterward putting on the “glasses” and reading the books. The Idea: Can you believe this is less than two rolls of toilet paper!?! When you’re inside it doesn’t take much T.P. to make a big impact. My husband had a ton of fun this one (I think he was having flashbacks to his teen years) and it took very little time to clean up. 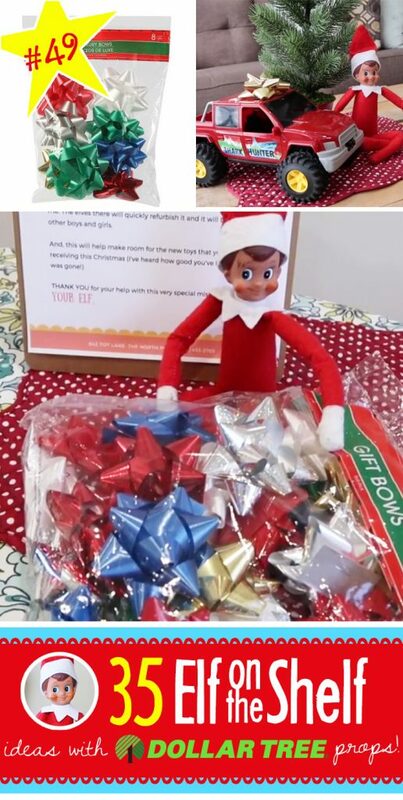 The Idea: Oh elf, what will you think of next!?! I was trying to figure out a setting to make bubbles in the dishwasher, but then decided it would probably be easier to make them in the sink. So I put some hot water and bubble bath in the sink and used the sprayer to make a bunch of bubbles. Then I transported them to the dishwasher for the bubble party. (Afterward I put the breakfast dishes in and ran a normal cycle- they came out fine!). Oh, and if the kids really want to blow bubbles afterward I usually let them blow them into the bath tub. It doesn’t seem to harm anything! 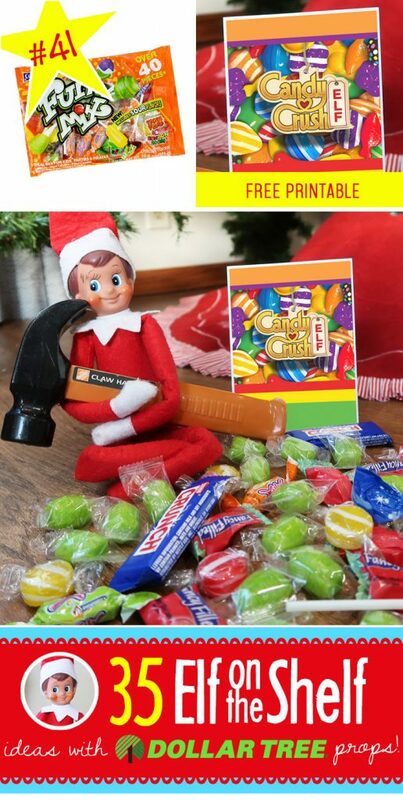 Dollar Store prop: Bag of candy, a hammer if you don’t have one! Free Printable: Click here for the printable CANDY CRUSH Sign! The Idea: Are you ever amazed by what they carry at the Dollar Store!?! Like this little lens that is meant to clip onto your cell phone but works PERFECTLY for a North Pole Cam! It even has a clip on it which makes attaching it to the tree a breeze, and I added the red USB chord to look like a power cord…VERY convincing!!! Free Printable: Click here for the printable North Pole Cam lens surround & more pictures! The Idea: Elf is showing his musical side this morning! This was really fun to set up. I should note that anytime Elf’s hands need to be stuck to something I just used a small loop of packing tape and it seems to work well. Elf on the Shelf Idea #37: It’s Rudolph Day! The Idea: Did you know!?! Today is National Rudolph the Red Nose Reindeer Day!! Grab your red nose and lets celebrate!!! (We used scotch tape to attach the pom moms, but rubber cement would work even better! Free Printable: Find the Free printable sign here! The Idea: Oh no, where is elf now? The note on the door says that he found a new way to get to the North Pole??? And it has stamps and post office markings on it? That silly elf is in the mail box!! Free Printable: Click here for the printable sign! The Idea: Well this is a cool idea! Unwrap a book each night to read…some are old and some are new!! Free Printable: Find the free printable that explains the book tradition HERE! 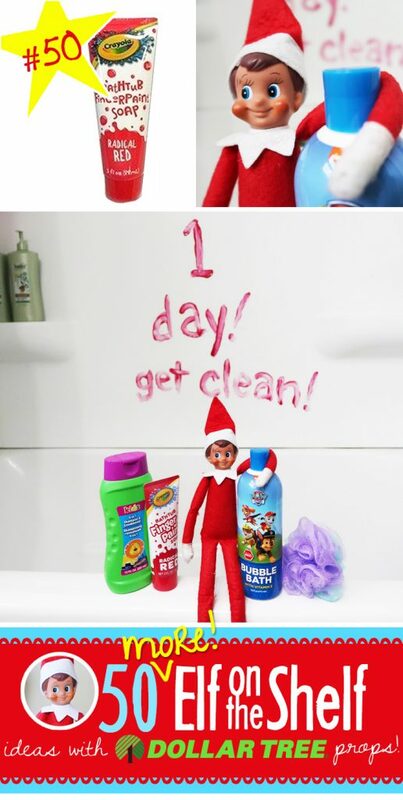 Elf on the Shelf Idea #20: Too Late! The Idea: I guess even elves have accidents! Tip: Use school glue to make an invisible ring to contain the “pee” otherwise it may run off all sides of the toilet…ewww! Elf on the Shelf Idea #42: Snowball Fight! 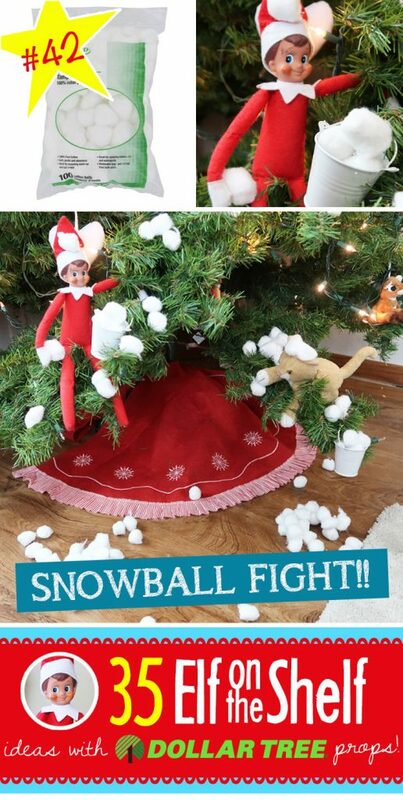 The Idea: Looks like Elf and the little kitty stuffed animal are having a snowball fight! The little white buckets from the gumboil games below sure came in handy again!! Free Printable: Click here for the printable points cards! The Idea: I did this on a morning when the kids needed a bath. After Elf was done “feeding” the ducks the kids jumped in with them! 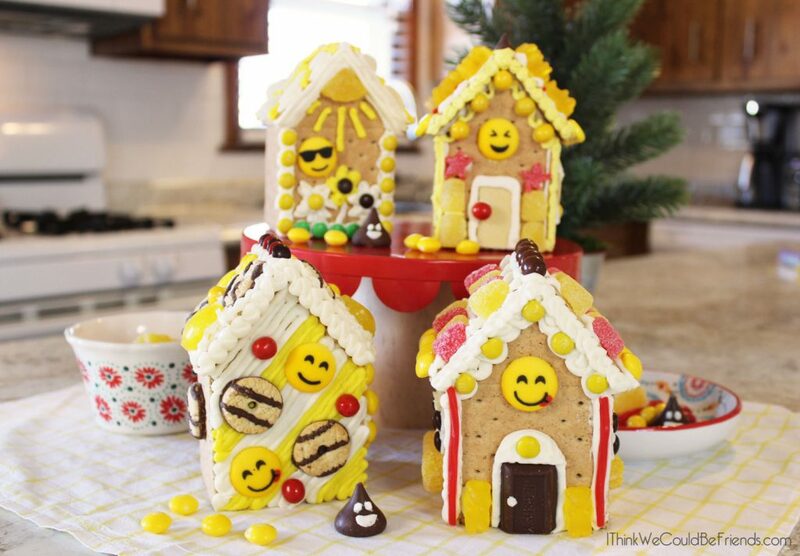 Elf on the Shelf Idea #43: Where you live + Where Santa lives! Free Printable: Find the free printable Direction Arrows, Penguin & North Pole Sign HERE!! 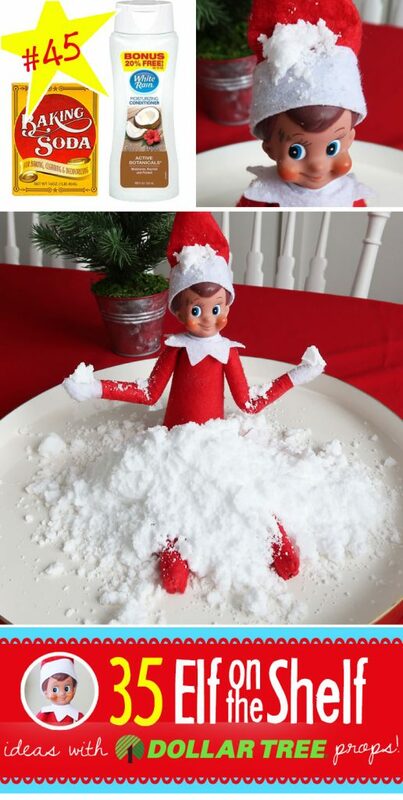 Elf on the Shelf Idea #45: Two Ingredient Play Snow! The Idea: Your kids will LOVE this North Pole snow!! It’s fun to play with, too! To make: mix one box of baking soda with 1/2 cup of white colored conditioner. Mix and add more conditioner until the snow sticks together but isn’t too sticky! 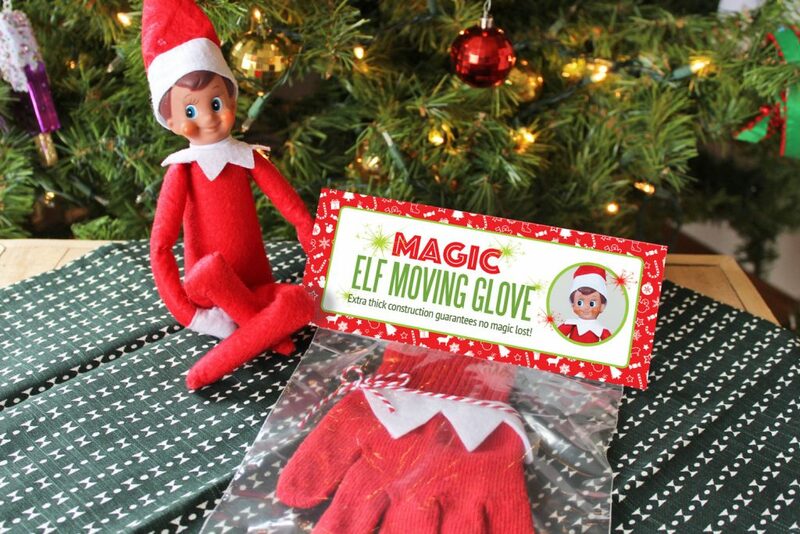 The Idea: Its nice when Elf encourages the kids to do a little extra learning during the holiday season! These large dice are super fun for the kids to play and the printable Christmas dice games will keep the kids busy for awhile! Free Printable: Click here for the free printable dice games! The Idea: Oh my Elf! It looks like that snake and baby alligator are trying to get you! Could thing you jumped to safety!! The Idea: When we saw these creepy birds at the Dollar Tree we knew we had to do SOMETHING with them! So Elf is feeding the birds…and he seems to really like them…the nice part is: This is QUICK to set up! 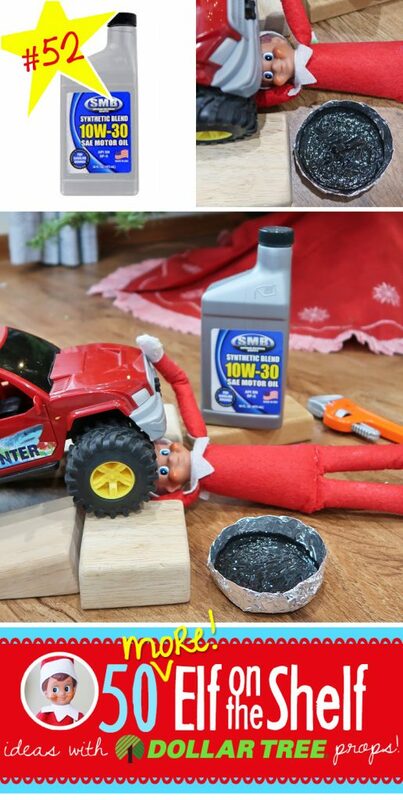 The Idea: It looks like our Elf on the Shelf is doing a REAL oil change!! He has a drain pan (made from tinfoil with black paint in the bottom) and REAL oil!! Set-up Time: WAY too long! The Idea: What if your Elf on the Shelf could be working FOR YOU instead of against you?What if he could inspire your kids to get rid of some of their toys? What if each day they were placing a special bow on an old toy that your Elf on the Shelf could take back to the North Pole with him? Wouldn’t that be magical??? Find more details HERE! Free Printable: Find the free printable letter to go with this and more explanation about the new tradition HERE! The Idea: Ut oh, is Elf going to get in trouble for bringing dirt into the house??? WAIT! That’s not dirt, it tastes SWEET! Simply put the chocolate sandwich cookies into your blender or food processor and you have instant dirt!! 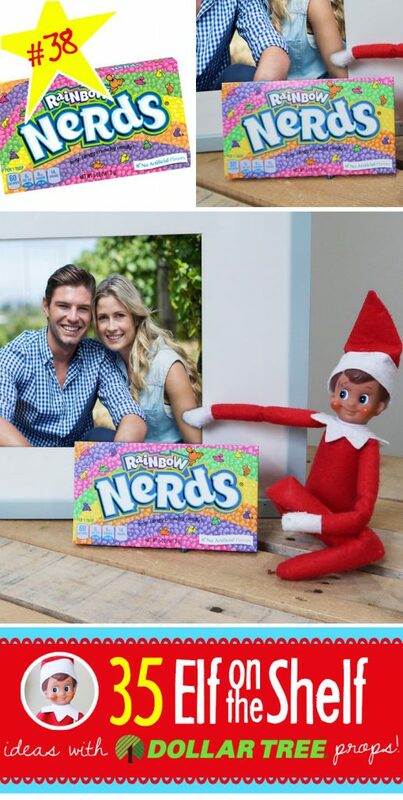 Elf on the Shelf Idea #54: Ouch!! 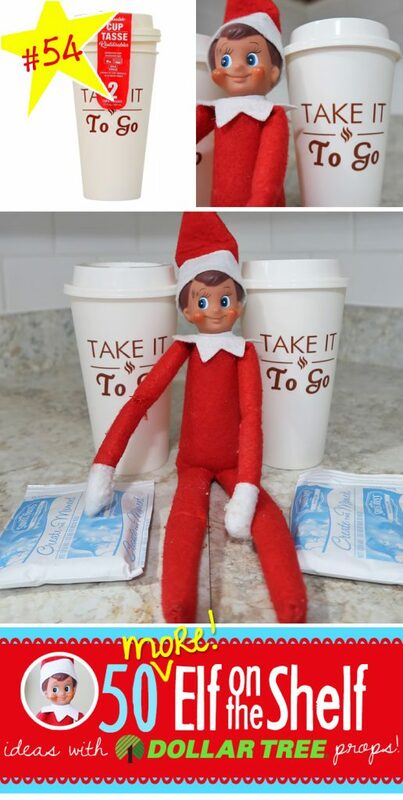 The Idea: How nice, Elf is brought to go cups so you could bring hot chocolate with you to school this morning!! The Idea: Hands down the favorite part of this scene is the “sand castle.” What can I say, sometimes you’re dumping brown sugar out on your counter to look like sand and you just get inspired to build a castle! We also used a few Barbie props and of course the sea shells to make it look authentic! Free Printable: Click here for the printable sunglasses! The Idea: Up, up and away! Elf tried to make it to the North Pole with the balloons last night but got caught up! Of course, four balloons aren’t enough to lift Elf and the basket, so a loop of packing tape attached to a balloon and ceiling fan blade kept him in place. And like most of these, the kids had a ton of fun playing with the balloons afterward! The Idea: This is another one where the kids had a TON of fun playing afterward! (If you aren’t familiar with the game, the goal is to “fish” for candy canes by hooking them with the one on the string). The Idea: It looks like Elf had to defend himself against some kind of attacker! He has the situation under control, though, as his enemy falls into the depths of the garbage can! Tip: I used a little hot glue to hold the military guy in place. The Idea: Another QUICK one to set up and fun for the kids to play with afterwards. And not, this is a large set of matching cards, I didn’t put them all out! The Idea: It was so nice of Elf to offer to make breakfast! And glad that he’s health conscious, adding in some extra protein with the sardines! The Idea: Ut oh! What is Elf up to now! It looks like he’s trying to cut off the top of the Christmas tree! We better stop him before its too late! 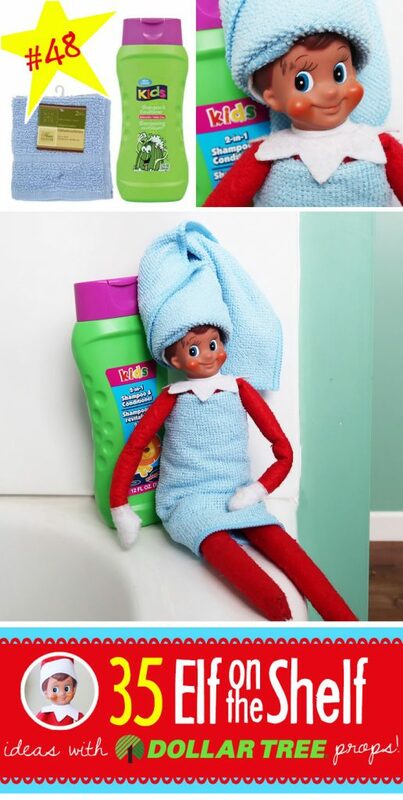 Related Posts: MORE NEW Elf on the Shelf Ideas! And while this has nothing to do with your Elf on the Shelf, it is one of our most popular posts right now and super fun! 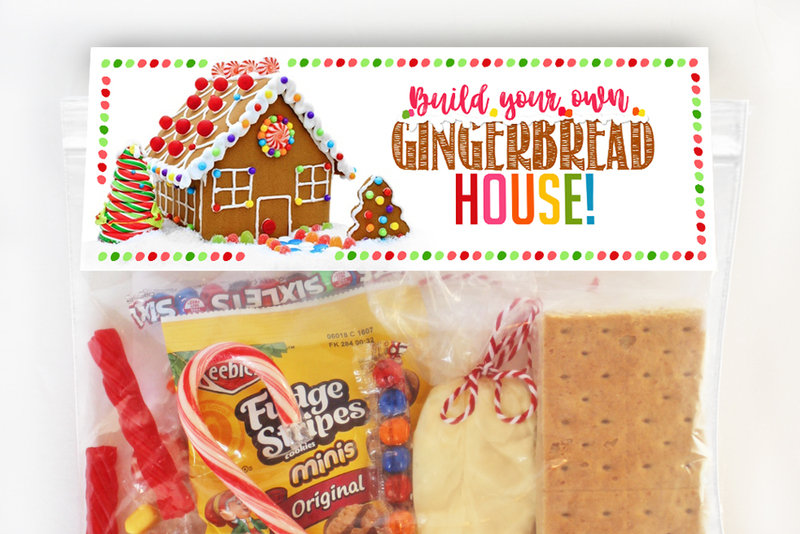 DIY Gingerbread House Kits, includes a free printable topper with instructions and ideas! Love so many of these ideas and used them! But the shaving cream snowmen family started to fall apart once the shaving cream dries up. I started hearing the little balls falling off the mirror and hitting the floor. And it’s hard to add more shaving cream to the existing snowmen as well as trying to but the balls back on. They didn’t make it til the morning.? And I used what looks like the same amount in your picture. 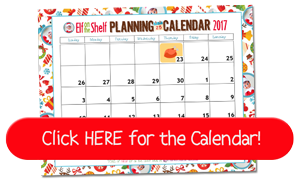 can you share the printable for Rudolph the Red Nose Reindeer Day? She said it should be fixed now (the link is towards the bottom of the page) if it still isn’t working, please let me know!! 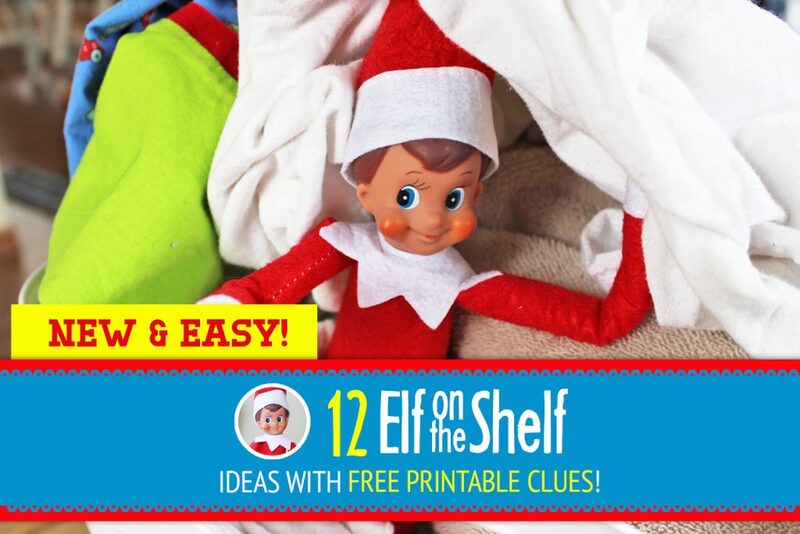 Do you have a link for the printable for ELF ON THE SHELF IDEA #43: WHERE YOU LIVE + WHERE SANTA LIVES! Hi! Thank you so much for these! These are amazing ideas. :) Do you happen to have the printables for the globe idea? Thank you! These ideas are awesome. Can’t wait to try them on my grandson this year. Hopefully I will be able to find all the things I need. We live in a small town so sometimes the variety isn’t as good as some of the bigger stores. 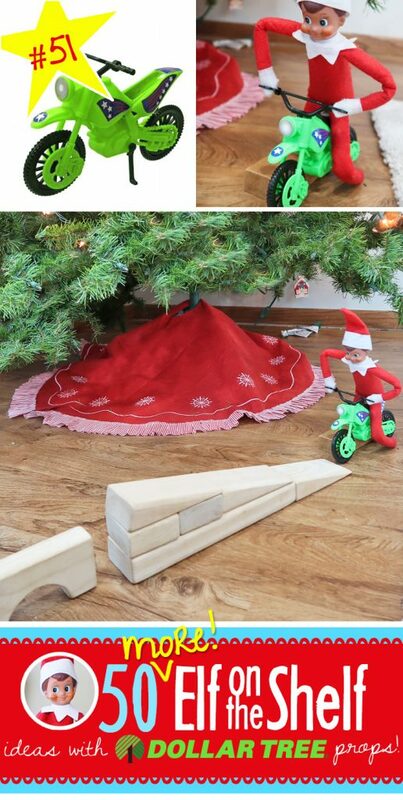 Great ideas, but what do you do when the elf is in a position where he/she can’t stay all day (toilet paper, stairs, dishwasher, etc)? I thought the rule was “don’t touch the elf or the magic will go away.” What’s your workaround? This is a great question because I was wondering the same thing? I wait until my son isn’t looking or ask him to go get me something and I shove him in a closet real quick lol. When my son asks where he went I tell him he flew back to the North Pole to report to Santa. I’m having to check this out, I was experiencing the same thing when I tested the link on my phone, BUT it does seem to work ok on desktop computers. I hope to have this resolved SOON! Where are the instructions for getting the elf in the balloon? The instructions are up! I’ve heard that the link hasn’t been working great on mobile devices, but it definitely works on desktop computers! 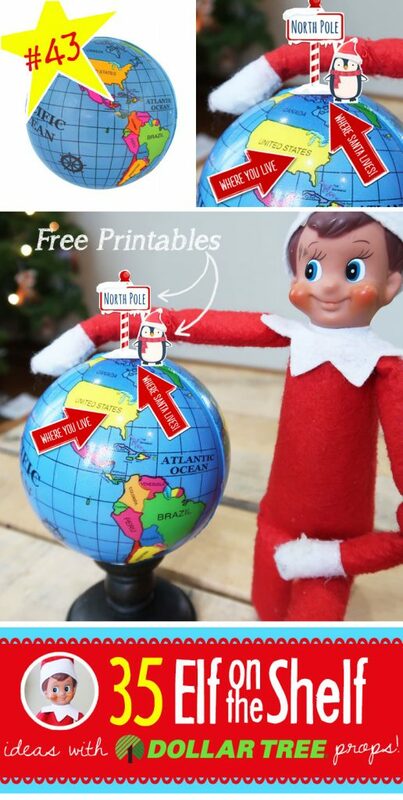 I do not see a link to idea #1 to place the elf in the balloon. Am I missing something? Awesome ideas – can’t wait to try these this year! I haven’t tried it yet but It says to buy the large balloons (16 in a pack) so that it’s big enough to have him fit inside!? Yes! That should be plenty big enough for him to fit inside. Its easiest if you have a second set of hands to help hold him, but I’ve done it by myself just fine, too, balloons are surprisingly stretchy!! For idea #1 it says there are instructions inside. I can’t find a clickable link nor do I see instructions for inside the balloon. Maybe I just haven’t had enough caffeine yet?? Great ideas! Our elf has been visiting since 2011. He is running out of ideas and will be using a few of yours this holiday season. Our elf looks a little different and sometimes like to bring educational activities to our house. https://www.pinterest.com/keithas/cutesy-the-elf/ Thanks for sharing! These are brilliant. This will be my 5th year of elfing. I’ve developed quite an audience, and have been worried about letting them down, having used so many of my best ideas already. You’ve now given me enough fresh ideas to keep everyone happy :D. Thank you!! These are great, but some of the printable links aren’t working. 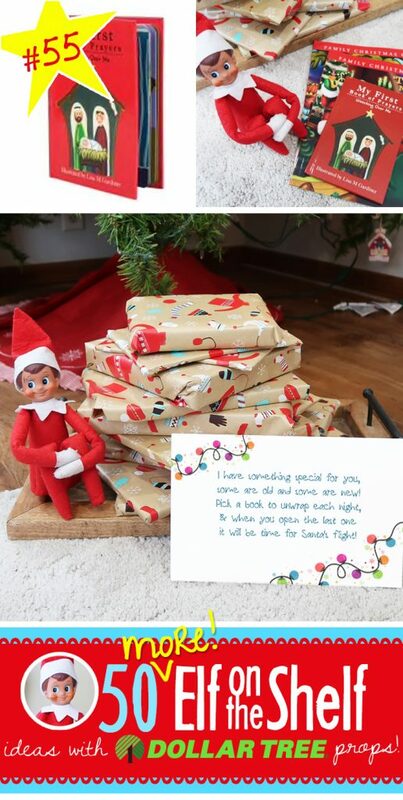 Huge Elf fan… thanks for some cute ideas! It’s going to be the 6th season! I haven’t repeated anything so far, but it’s getting harder every year. That’s why I love posts like yours! This year our Elf is having “surgery”: the lady who makes alterations for our clothes, is making our Elf bendable. This will open new and exciting possibilities! Need the link to #22! Not working! Thanks, these are great! How do you get the elf to stay standing or sitting?? Did you to do anything special to make him “flexible”? Hi Jessica! I mention it in the beginning, but it’s easy to miss, we did make our elf “bendy”…basically cut open the ends of his limbs and stick wire in. There are a bunch of tutorials out there if you google it…definitely not difficult!! Excellent ideas! Can’t wait to see the last 12. Calendar is super cute too!